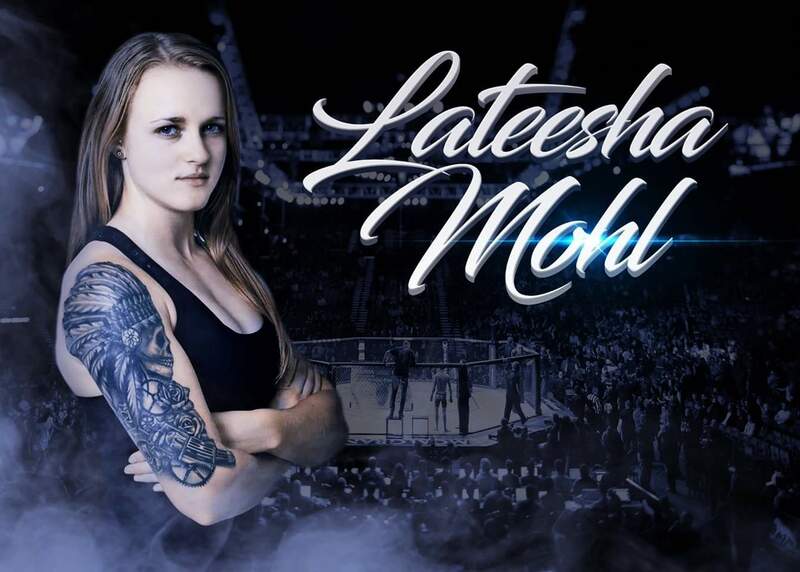 Lateesha Mohl has taken a liking to fighting. Despite not having a winning record, Mohl continues to battle through adversity, and put her best foot forward in search of that next big win. I logged on social media earlier this week to discover that Mohl has accepted not one, but two fights, in just a matter of weeks. With an amateur record of 1-6, Mohl has not tasted victory in mixed martial arts competition since April 2016. The 22-year old waitress has however twice found victory while competing in Muay Thai, and will return to the ring two times in the coming weeks. 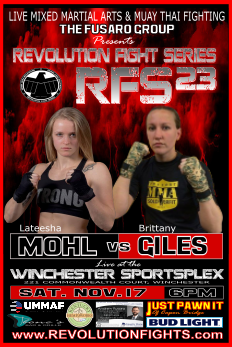 Mohl takes on Brittany Giles this Saturday, November 17 for Revolution Fight Series. The fight goes down at the Winchester SportsPlex in Winchester, Virginia. 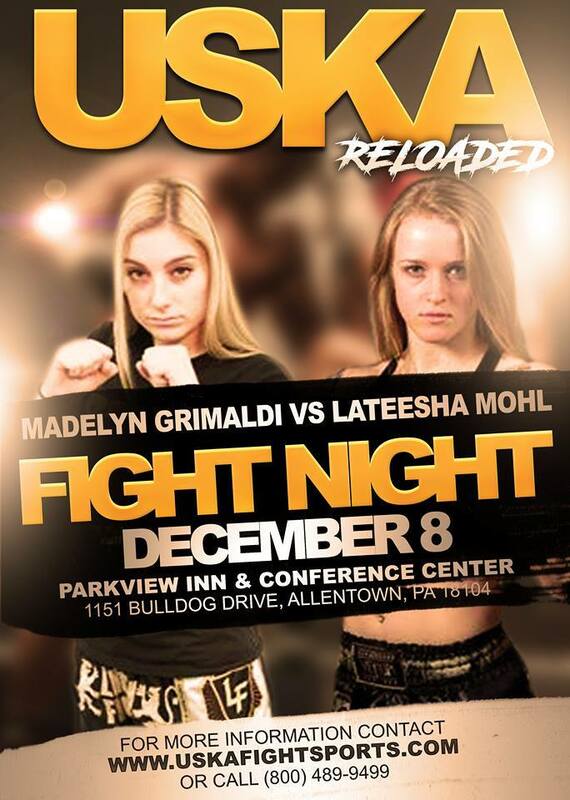 She then bounces right back, taking on Madelyn Grimaldi for USKA Fights on December 8 in Allentown, Pennsylvania. I wanted to find out a little bit more about what makes “The Honey Badger” tick. 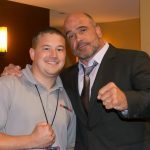 MyMMANews – Help me figure out your thought process in why you have back-to-back fights booked, not knowing really the outcome or what will happen in the first fight? Hopefully you escape without injury or any suspensions, but why agree to two events booked so close together? Mohl, who normally fights at strawweight, will take this upcoming bout with Giles at a catchweight of 120-pounds. 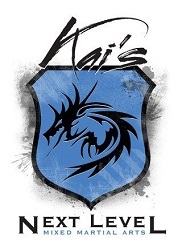 The upcoming USKA bout will be back down at 115-pounds. Despite the need to drop in weight, “The Honey Badger” assures MyMMANews that she will be able to enjoy a good Thanksgiving meal. One might look at Mohl’s 1-6 amateur MMA record and be quick to write her off, but if you watch her fights and take a look at the record, all but one of the five losses came by way of decision. She is not being finished, but yet has not been able to pull the trigger and get the win for herself. Mohl believes she has learned quite a bit about herself after taking a step back to assess the losses. MyMMANews – This weekend you are taking on Brittany Giles in a short notice fight. What do you know about her? LM – “We were actually on the same card about a year and a half ago I think it was. She fought the first girl I fought in Muay Thai. I know she did win against her in a split decision, and I did watch that fight. Brittany’s other win is against one of my friends, Maria, who is pretty tiny. I’m surprised they actually fought each other. They are not near the same weight class. I know Maria put up a good fight in that one. I don’t know. I’m excited. I think this going to be another challenge for me, but I’m confident, and I think it is a good matchup. MyMMANews – What about December 8, Madelyn Grimaldi? 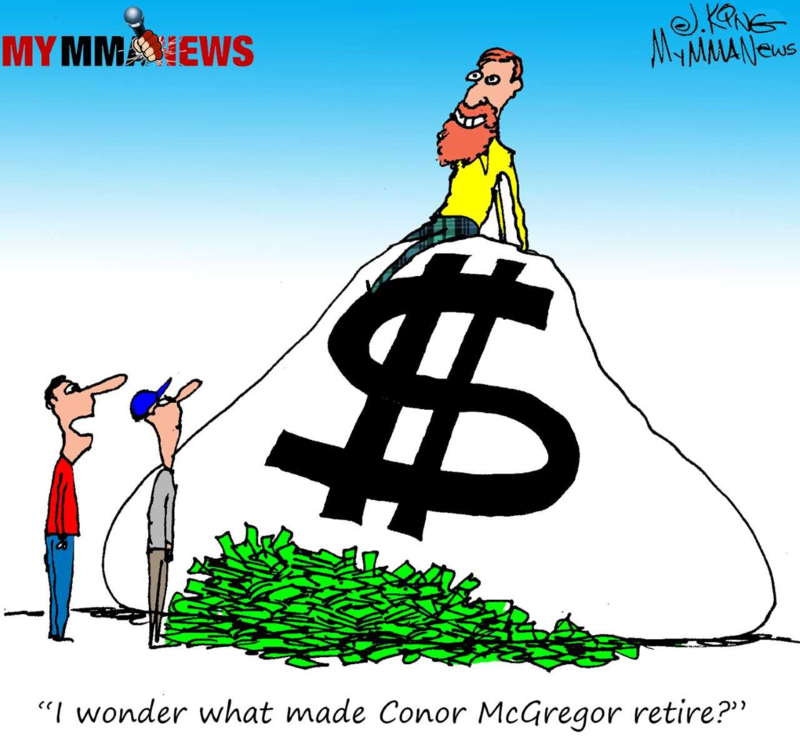 MyMMANews – What is your plan moving forward? You are doing both MMA and Muay Thai. 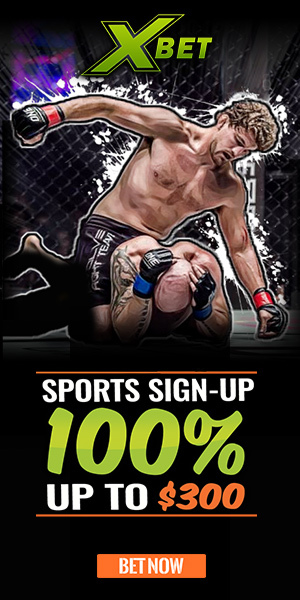 You will have more than 10 amateur fights under belt. Is there a plan in mind for turning pro? MyMMANews – Lastly, you have a sponsor in Kentucky Hemp Works. I see your posts. 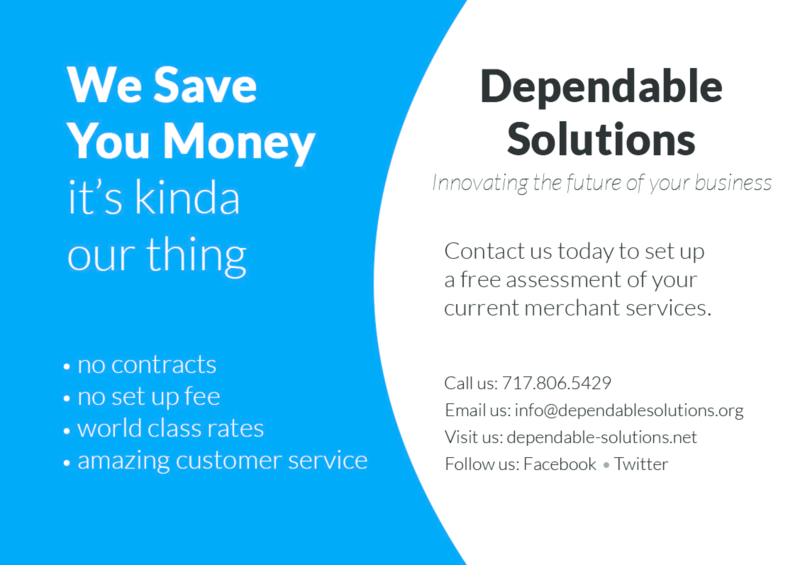 What is their product doing for you? 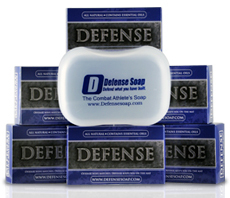 How is it helping you with your training? “I actually didn’t know what it was at first. I had a foot injury and the owner of the company went to the same gym as me. She gave me this oil to try and three days later, and I’m not kidding, was completely healed. There was nothing wrong with it. I was like ‘this is crazy.’ What it does for me is I have arthritis in my knees and my elbows. I don’t have cartilage so ever since I started taking it, I don’t get that aching arthritis pain anymore. I used to have headaches every single day of my life. I haven’t had a headache in about four months now. It helps me sleep. I suffer from minor depression and I definitely suffer from a lot of anxiety. It definitely helps with that, chills me out. It’s all around great. I definitely suggest that people try Kentucky Hemp Works, especially those with arthritis. It’s just wonderful.